What do buyers really think of bidding organizations? Well, er…some of the results from this survey weren’t so favorable for RFP responders. At the end of day, nearly half of these buyers felt that bidders just didn’t do themselves justice in their proposals. However, there is light at the end of your RFP answer library. With any organizational challenges, identifying the root cause of the issue is the best way to create a long-term solution. 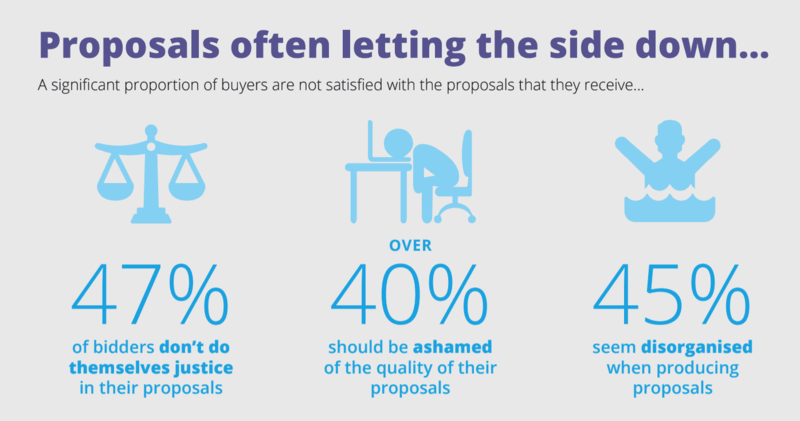 Buyers think RFP responses are not up to snuff because—let’s face it—they probably aren’t as amazing as they could be. RFP software gives your team more time to do a better job…your answer library is ultimately the key to your success. 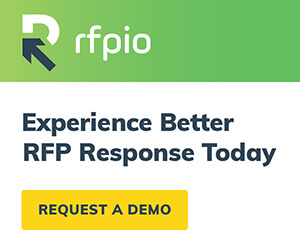 Because you all love seeing real examples in the RFP response world, we combed through tons of RFPIO user reviews to gather and share authentic RFP content management solutions. What follows is a snapshot of RFP responders’ lives, before and after RFP software. A proposal manager spent most of his time researching multiple documents and resources to eventually produce an “okay” answer. His SMEs were always short on time—they either provided rushed responses or ignored his emails when he needed input. They could never get ahead of the RFP deadline, no matter how many times they repeated the process. An RFP answer library offered the gift of speed. Centralizing responses and organizing them with tags helped his team respond accurately in a client-focused manner. Instead of spending hours researching and gathering information, he used that extra time to focus on an RFP response strategy. In a short time frame, this organization improved their win rate with customer-centric responses that helped them stand out in a competitive market. A director of presales support saw that her entire organization had room for improvement with their process for answering security questionnaires, RFPs, and RFIs. Since everyone was piecing content together in their own silos, her team produced less effective responses as a result. They didn’t accurately track the effort of their work, but they knew their RFP response time could be more efficient with a team solution. All business units started contributing content to a centralized RFP answer library. She trained employees worldwide to use the application, integrating users from: IT, HR, Legal, Finance, Professional Services, and Education Services. RFx documents became consistent, and she was able to track progress. High productivity helped her team process more RFP projects than before. A senior solutions engineer typed the same RFP responses over and over again with every new business opportunity. The repetition should have made his job easier. Yet he still had to dig for historical responses to copy and paste them in the RFP. He used multiple computer monitors to find the information he needed as quickly as possible, using the Control+F function. No more Control+F! With a searchable RFP answer library, he easily pulled information from a single source. Since he no longer depended on extra monitors to complete RFPs, he took advantage of working remotely— at home, or when he had downtime at the airport. This convenience made it easier for him to complete RFP responses on his preferred schedule to meet the deadline. A business analyst identified key issues that could only be solved by an investment in an RFP content management solution. RFPs consumed too many resources and took too long. It finally got to a point where SMEs (subject matter experts) didn’t want to contribute, because they answered repetitive questions constantly. An RFP answer library was the missing ingredient all along. Auto-response filled in repetitive questions with historic RFP responses for him upfront, lightening the workload for busy SMEs. Rather than starting from scratch each time, answer recommendations provided relevant content and SMEs only had to perform a quick review for accuracy. This saved hours for everyone, which they reallocated to tailor content for a stronger RFP deliverable. A senior sales engineer saw that his team continually came up with workarounds to manage RFP and sales content. Information silos were prevalent across the organization, and it was slowing down their entire sales process. His team quickly realized the functional opportunities with their new RFP answer library. IT team members loved how much time they saved just by looking up previous RFP responses. An added bonus they discovered was using the content library to store all internal FAQs, giving every team member one access point for company information whenever they needed it. A proposal manager felt that the quality of her organization’s RFP response content wasn’t up to par. She did her best to organize RFP responses in a series of Word docs and spreadsheets. She kept up with a spreadsheet of approved responses, but team members continued copying and pasting from various RFPs, resulting in copying and pasting errors and inconsistencies. The RFP answer library and section templates allowed her team to save questions and blocks of boilerplate text. Managing and auditing RFP content was easier, so she was able to make approved content easily accessible for her team. Compared to copying and pasting, searching for the best response became a fast and intuitive practice for everyone. A senior solutions executive realized tracking down past responses in his labyrinth of Google Drive folders took several hours for every RFP. He always questioned his selections, wondering if what he did find was the best possible response—or if the better option was buried deep in another folder. Unable to handle his workload during business hours, he worked late at night to submit RFPs at the eleventh hour. He fundamentally changed the way his team managed RFPs with an answer library. No longer did he burden valuable internal resources with repetitive questions. By leveraging the tagging and star system, his team felt more confident about their choices. He used search functionality to find answers in seconds instead of hours. 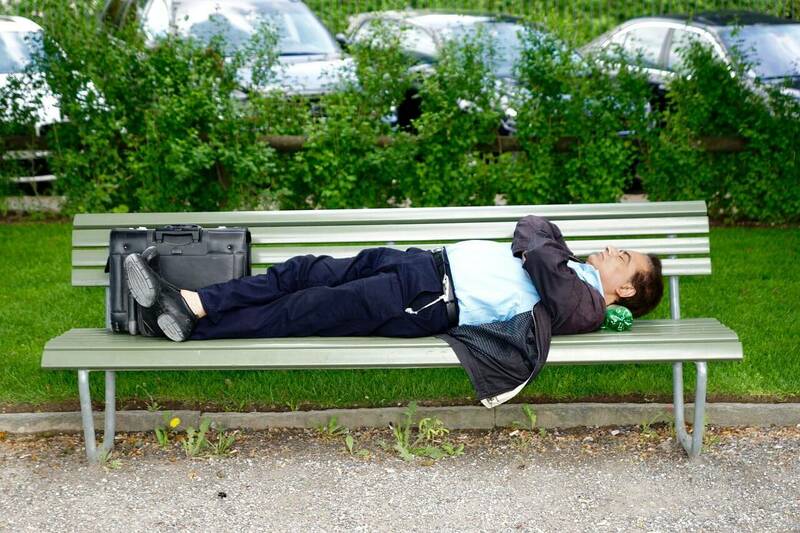 Since he didn’t have to work late anymore on RFPs, overall he felt more rested and productive. A senior proposal manager recognized the rising internal resource costs of their RFP response process. On average, this organization responded to 2-4 RFPs per month and spent about 80-100 hours researching and answering highly technical questions. With employee hourly rates ranging from $25 to $50 per hour, resource budgets were out of control. The cost savings on resource hours far outweighed the cost of the RFP software he purchased. When responding to imported RFP questions, answer recommendations automatically populated the best-fit response directly from the answer library. Typing in one or two keywords into the search bar produced accurate results. Resource costs decreased exponentially, freeing up the budget for his other business initiatives. A strategic sales support manager did not have a formal RFP response process or an RFP content management tool at her organization. She tried using other content management systems to organize their Q&A pairs but often ended up with duplicate answers. It was difficult to repurpose variations on the same RFP responses, so her team ended up customizing the answer every time. A smarter approach to RFP content management brought immediate time-savings benefits to her RFP response team. She added alternate questions and answers with customized names (short response, excel response, division-specific response, etc.) She gained complete control over their RFP content and she felt new responses were stronger than in previous RFPs. 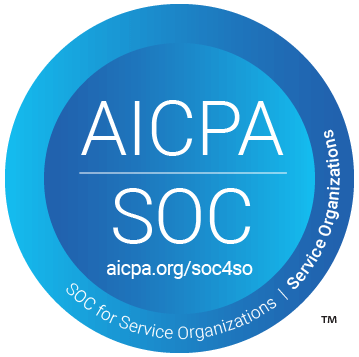 An enterprise account executive responded to many RFPs, RFIs, and VSQs. It was the nature of their business, and his team worked hard to meet short turnaround times in the hopes of gaining new business. Since numerous departments were involved in RFP responses, they couldn’t respond to as many opportunities and they weren’t reaching their sales goals. A new ability to collaborate in real-time reduced turnaround on these RFP requests. The answer library stored typical Q&A pairs that could be added and customized in a few minutes. This improved process allowed his team to take on more RFPs than before. Responding faster—with more consistent RFP responses—helped them win more deals at a higher rate. Rushing an RFP out the door doesn’t exactly leave much time for fine-tuning the deliverable with a strategic mindset. The good news is that we can positively shift the buyer’s perspective if we improve the way we manage our RFP content library. That means saying goodbye to your labyrinth of Google drive folders and being more methodical with RFP software. Join thousands of other RFPIO users to become our next before and after RFP software success story. Schedule a demo of RFPIO to manage your RFP content like a pro.